That's the sign of commitment right? Picking out curtains. Not that Isaac and I weren't committed before, but we were trying to find curtains for our bedroom. When we moved into our condo, the paint in the bedroom was atrocious. We started painting there. The walls went from brown (what I called "vomit brown" due to an ugly brown being painted over vibrant green with no primer) to two walls that are purple (we were aiming for mauve but that's ok) and two walls parchment white. 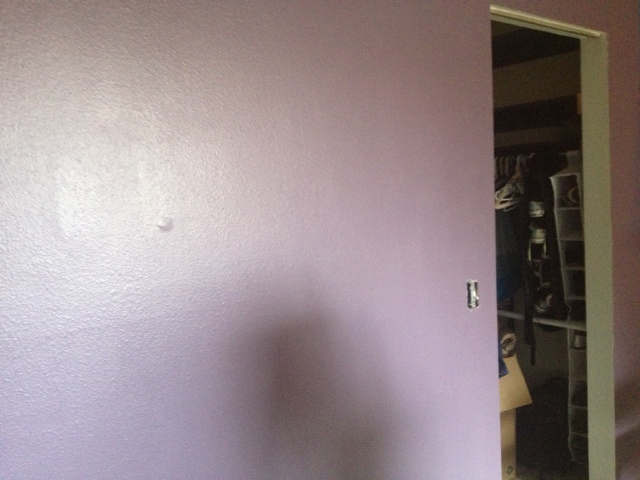 The walls before. The picture doesn't do justice to how ugly it really was. 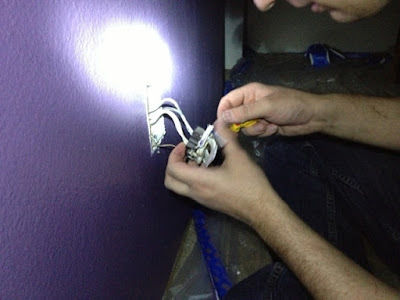 We still need moulding at the bottom of the walls (which will be grey). 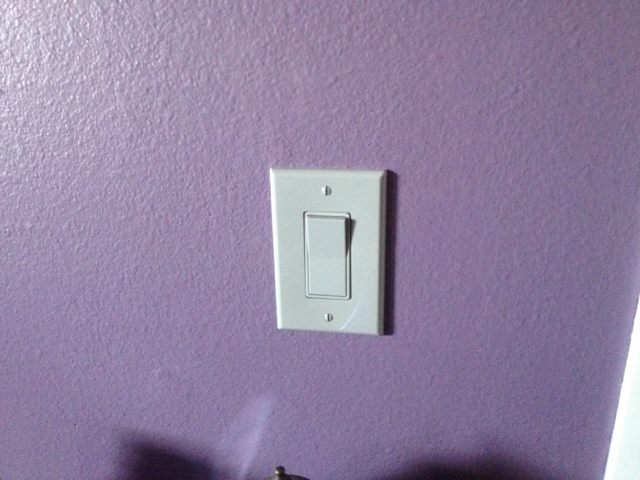 We replaced all of the outlets, light switches, and covers and they are all grey. Maybe a grey line running around the room close to the ceiling? And hopefully black and white art and grey bed set. Anyway the bedroom window is against a parchment colored wall so we wanted some color there. We didn't want white sheer curtains because that much white may make the wall look yellow. Also, the window is a funny size so finding curtains that we liked and that would actually cover the window nicely was difficult. 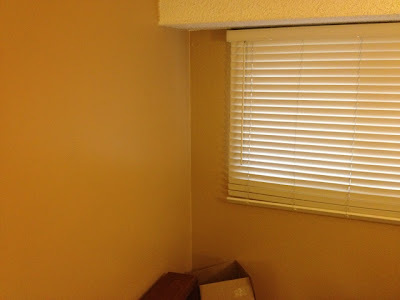 In addition the window is very wide and deep set so we had to find something to cover it completely so no one could see in around the edges. Isaac bought and mounted double rods (one for a sheer curtain and one for a thick curtain). We still didn't find the right curtains. So we made a trip to Joann. 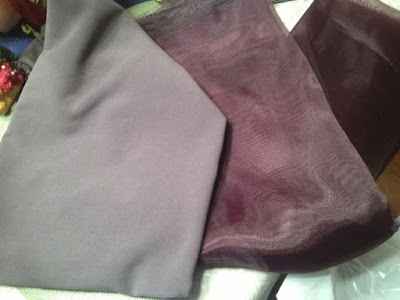 Here are the fabrics we bought. I will be making our curtains! This is a bit new to me but I will do some research and it will be great! I imagine I will need some weight at the bottom of both so they hang properly. We decided to pick out some sort of decorative fringe for the heavy curtain later. To make matters better, we got a good price. Both fabrics were on sale. The grey especially. We didn't like the "decor" fabrics and prints (plus you have to special order them all) so we found this in fabric you use to make nice suits. It was originally 15 per yard and was on sale for 8 or 9. And we had a coupon. The sheer was originally 8 per yard and on sale for 5 per yard. We got two yards of each. I am very excited. That's all that's new in the home-owning department. We should be replacing our hot water heater soon and hopefully we will make some improvements on the master bathroom soon. We will keep you posted!